Ooh, look how ethereal and mischievous! "Thoughtful, intense Zeeta and her free-spirited mother return in this follow-up to The Indigo Notebook (2009). Perennial travelers, the two have now settled in the atmospheric city of Aix-en-Provence. Zeeta eagerly anticipates the arrival of her boyfriend Wendell from Colorado, but when he changes the terms of his visit, Zeeta is hurt and confused. Their relationship is further strained by her involuntary attraction to Jean-Claude, a member of a street dance troupe. At the same time, Zeeta begins to discover strange notes and items left in her bag. Weaving bits of magic, city lore and bittersweet romance into each of the many plot lines, Resau has again crafted a complex and satisfying novel that is both a mystery and a tender, wise meditation on love and self-identity. Characters are rich and vibrant, each of them bringing their own past to bear on the story at hand. Readers will want to read the first before starting this one and will likely be clamoring for the third, the groundwork for which is nicely set up here." The Indigo Notebook, I neglected to report earlier, was the recent winner of the Colorado Book Award in the Young Adult category! You can read a fun post at Laura's blog about the event here—and while you're browsing, take a look at this post previewing Laura's next book, The Queen of Water! Congratulations, Laura, on so many exciting bits of news! 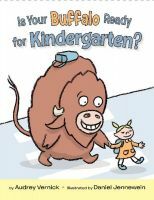 “'Some people say kindergarten is no place for a buffalo. How crazy is that?' So begins this humorous story about standing out in order to fit in. A buffalo doesn’t look, eat, or act like anyone else, but it’s his differences that make him so lovable ('who can resist that furry face?'). 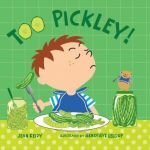 This story’s simple lesson about individuality is cleverly expressed through Vernick’s gentle wit and Jennewein’s crayon-outlined kindergartners--most of all, the furry and ungainly reader surrogate with whom kids will readily relate, even if 'he may the only one who eats grass, then throws it up in his mouth and eats it again. Remember: Everyone’s special in his or her own way.'" 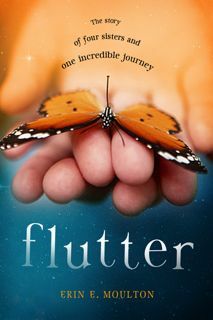 Yet another 2011 release, Erin E. Moulton's middle-grade novel Flutter, has recently had its final cover unveiled. And what a glorious cover it is! The vivid colors and ethereal images perfectly match this sweet, quirky, adventurous, and heart-warming story. The cover was done by Theresa Evangelista and makes my heart stop a little every time I see it! 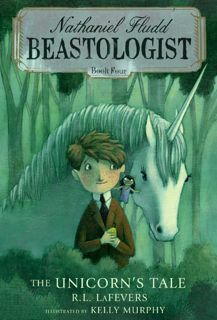 Watch for Flutter, to be published by Philomel/Penguin, in summer 2011. It's looking pinker around here every day! 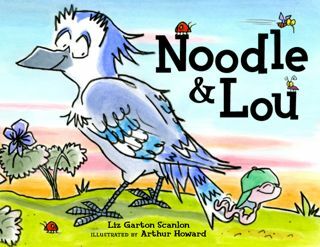 Here's another peek at a spring 2011 release—a sweet and funny little picture book called Noodle and Lou by the divine Liz Garton Scanlon, to be published by Beach Lane Books at Simon & Schuster. The illustrations are by Arthur Howard, whose work has graced Cynthia Rylant's Mr. Putter and Tabby books, among many others. Noodle's baseball cap just knocks me over, it's so cute! Thanks so much, Lisa Marie Williams, and congratulations, Heather! It's an exciting time of year, when we're seeing covers for 2011, last-minute revisions of fall 2010 covers—a virtual parade of covers coming our way! We thought we'd share some of what's been coming in. 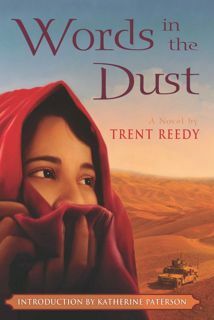 To start, we have Trent Reedy's Words in the Dust, which will debut with Arthur A. Levine Books/Scholastic in January 2011. (Apologies to those of you who follow EMLA on Facebook, where this was posted a couple of weeks ago; we neglected to cross-post it here!) It's a gorgeous image nicely conveying the Afghan setting, with the military vehicle making it clear it's contemporary. We look forward to seeing this one on the shelves! A big "Woohoo!" goes out to associate agent Ammi-Joan Paquette today--this time with her writer hat on, rather than her agent hat: Her picture book manuscript A GHOST IN THE HOUSE, a fun journey through a haunted house full of spooky sounds and creatures, was just signed by Kate Fletcher at Candlewick for World English rights! 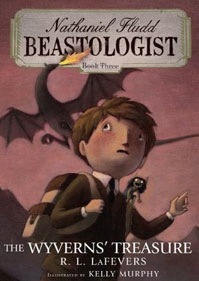 In the story, the reader is led from one spooky sound to another, revealing the presence of ghosts, witches, monsters, and the like--until the end, when the creatures are scared away by the spookiest beings of all--two children, ready to be tucked into bed. It hits the perfect notes to give little ones a tiny bit of thrilling scare, but still send them happily on their way to dreamland without any fears or worries. I’m very excited to announce the agency’s latest sale: Anna Staniszewski’s quirky middle-grade series starter, MY UN-FAIRY TALELIFE, follows 12-year-old Jenny, adventurer of some repute who is famed as the one to call when your magical kingdom goes on the blink, fairy tale creatures don’t get along, or things otherwise fall apart. But all this world-saving is starting to get old—even staying in the real world long enough to take a math test would be a dream come true! And when you throw in bloodthirsty unicorns, a psychotic clown, and the most insanely useless gnome sidekick ever, Jenny decides that enough is enough. She’s leaving this adventuring business behind, and she’s not looking back. Or… is she? This hilarious story puts a cynical spin on the happily-ever-after realm, and introduces a feisty new heroine that young readers are sure to fall in love with. And the falling in love has started big-time over at Sourcebooks Jabberwocky, where Rebecca Frazer has just purchased the first book in the series! MY UN-FAIRY TALE LIFE will be heading out into the world in the Fall of 2011. Congratulations to Anna—and I have a feeling it’s just the start of much terrific good news yet to come!